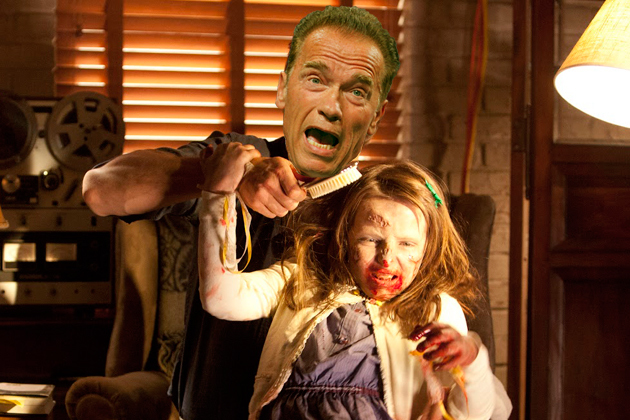 Arnold Schwarzenegger in a Zombie movie? Surprised? I was too as we all are used to seeing him mostly in action films. When it comes to speaking, he only talks sense. In his movies his guns, his punches and kicks do more talking. He is an invincible action figure, no matter whether it’s a villain or an alien or even a predator. 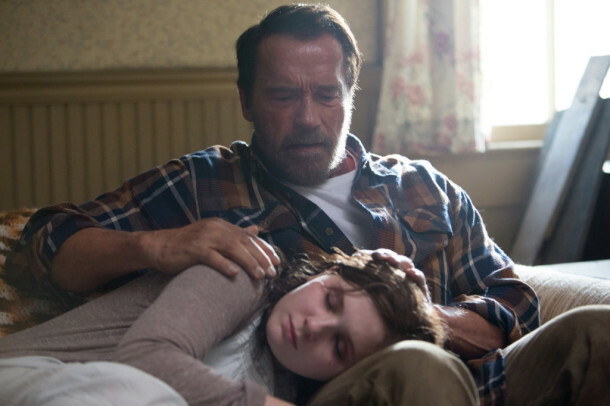 But get ready for a new incarnation of your beloved hero in upcoming zombie horror film Maggie. He is playing an emotional and very protective dad of a young girl. The film is about a teenage girl living in the Midwest. After outbreak of a disease, the virus infects girl. This is no ordinary contamination as day by day the girl starts changing in a cannibalistic zombie. During the process, her protective father stands by her helping her cope with the transformation. The film is directed by debutant Henry Hobson, who is actually known for designing the titles of some of the big hits like The Help and Hangover II. The storywriter John Scott 3 is also doing his very first project. The plot of the film has freshness like we have felt in Warm Bodies and Life After Beth. The role of the teenage daughter is played by Abigail Breslin, who is known for getting an Oscar nomination in the best supporting actress category at the age of only 9 years old for her performance in Little Miss Sunshine. The film was set to have its world premier in Toronto Film Festival 2014, but Lionsgate Studio has bought the rights to distribute film in America and now it is schedule for an early 2015 release.